A successful military strategy depends on the ability of leadership to identify potential obstacles and barriers and ensure their strategy is agile enough that it can adapt. IoT projects also require in-depth implementation barrier analysis to uncover any potential obstacle that could impact a successful implementation. IoT and OT (Operational Technology) are now being deeply integrated. AI, Blockchain, Edge Computing and Serverless Architecture are now rapidly being included in IoT environments. At the same time, cybercriminals are targeting IoT devices and looking for every opportunity to exploit weaknesses in IoT infrastructures. These trends demand that a comprehensive analysis methodology is in place to identify all transformation work that is required to ensure a successful IoT implementation – prior to any engagement. 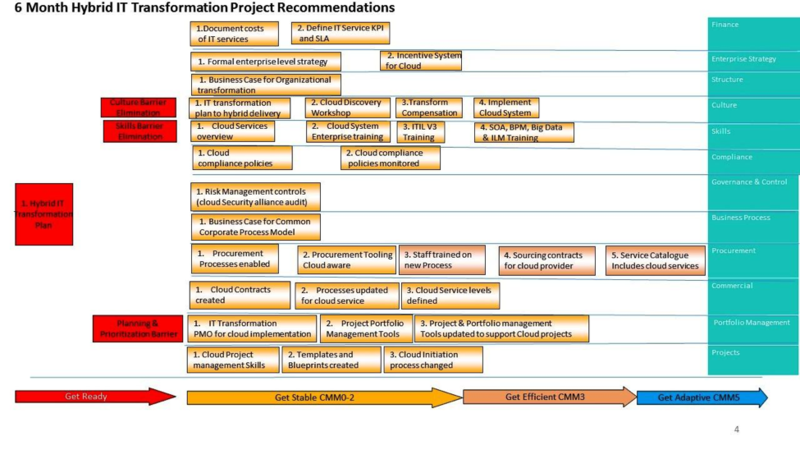 To address these demands, the Open Alliance for Cloud Adoption (OACA) has released version 4.0 of the Cloud Maturity Model (CMM). The OACA Cloud Maturity Model has been developed to provide IT implementation teams with a detailed assessment tool for identifying if the current and future state of IT in their enterprise aligns with the requirements of their business goals. The OACA Cloud Maturity tool has recently been expanded to include IoT technologies and several new IT domains which need to be assessed to ensure the long-term success of IoT projects. 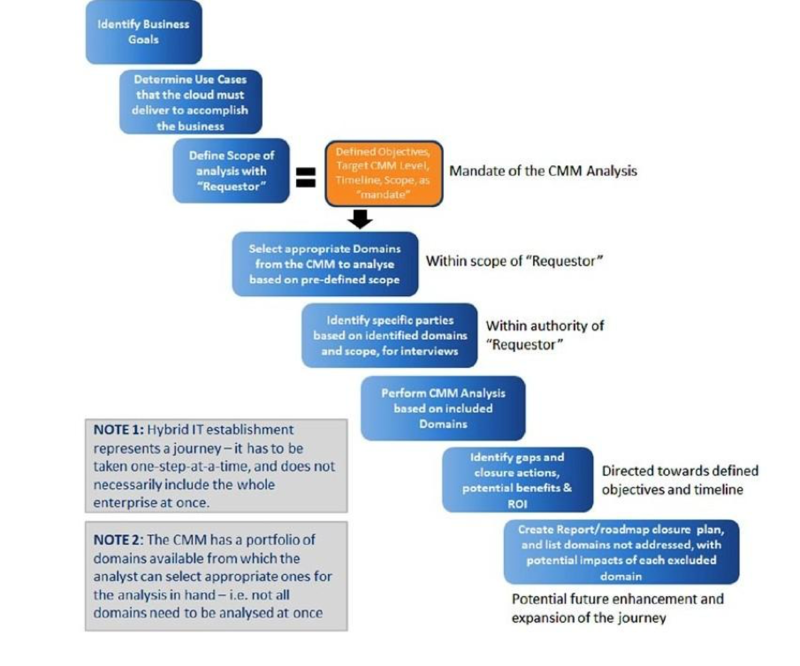 There are 30 domains in version 4.0 of the Maturity Model. 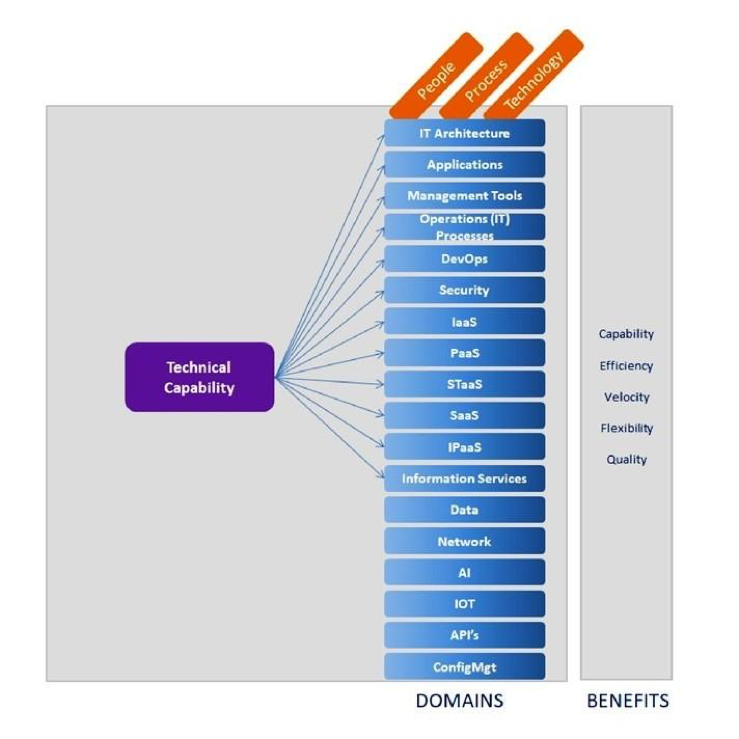 These domains are divided into two primary capability areas: (1) non-technical and (2) technical. Each capability area encompasses a set of appropriate domains such as finance, governance, and portfolio management so that a consultant or auditor can simply select and review the capability areas and domains that best apply to a specific IoT use case. 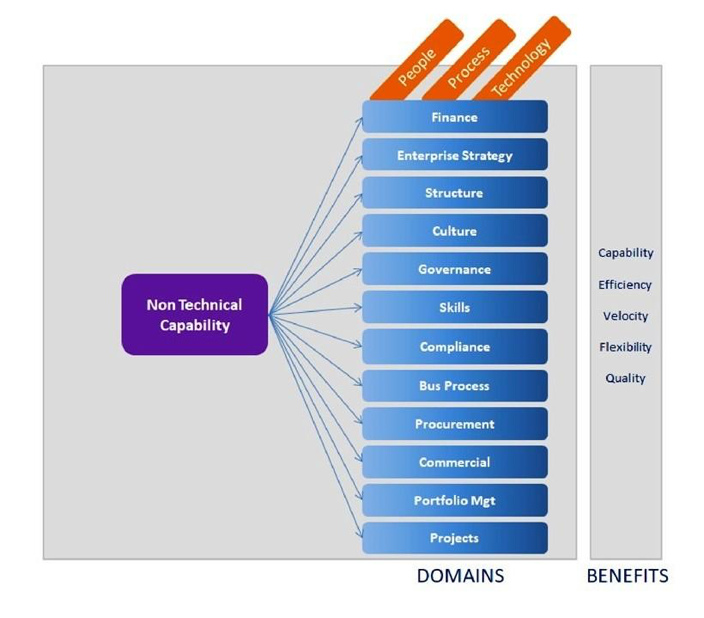 Cloud Maturity Model — Non-Technical Capability The non-technical capability domains and benefits. The technical capability and benefits. Version 4.0 has also added Networking, AI, IoT, API’s and ConfigMgt. These domains are critical when implementing an IoT project. To create a detailed IoT roadmap, first define a series of projects for each domain. Each of these projects should accomplish the outcomes defined by the desired maturity level an organization is looking to achieve. Analyze business goals and determine new business scenarios that are possible as a result of implementing IoT technology. Define the IoT use cases which support each business scenario. Analyze each IoT use case, determine the CMM level that accurately describes the current state for each of the domains covering both technical and non-technical capabilities. Analyze each IoT use case, determine the CMM level that describes the desired target state for each of the domains for both technical and non-technical capabilities. Determine a list of elements that need to be addressed using the outcomes identified in the assessment per CMM level. Higher maturity level layers build upon the previous layers; begin at CMM 1 and build upward. Analyze each of the elements in the people, process, and technology layers per domain, determine what will help close the gap — examples may include, the incorporation of a methodology or framework, a process update, tooling updates, and any education and skills development or augmentation. Build a practical timeline for addressing these gap items within the environment. Often, the implementation of technology elements should follow process and skill related updates. Consider creating a Cloud adoption program office or cloud adoption center of excellence (CoE) composed of champions and transformation processes/tools to empower those tasked with specific roadmap projects. Perform ongoing measurement of the resulting benefits after each milestone is completed. Use these measurements to shape the resulting roadmap for each domain to ensure that the business objectives and IoT benefits being sought are realized. Review and group appropriate tasks together. Determine estimated resource requirements in order to integrate the planning with daily business operations. This effort may be led by the Cloud/IoT adoption program office (of the individual tasked with this). Create draft project plans for each domain taking into consideration any cross-domain dependencies, prerequisites or corequisites. Determine appropriate key performance indicators (KPIs) for measuring the progress of specific updates and the benefits or enablement that the changes generate. Are there unique applications in the environment that inhibit cloud use? Is there a perception of entitlement? Are there union-driven job classifications? Has leadership provided a mandate to move to the cloud or IoT technologies? Is there a compensation scheme supporting cloud/IoT adoption? Are there software licensing constraints and or physical requirements such as a licensing dongle? For each of the barriers uncovered, a solution or project must be included in the IoT transformation plan taking into consideration the organization’s hierarchy, culture, structure, and business strategy. 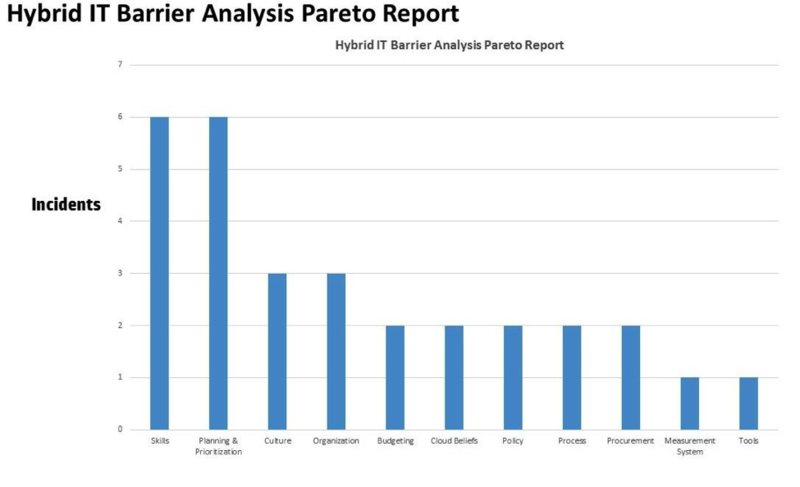 Here is an example of a Barrier Analysis Pareto chart. Each of the barrier categories require particular projects to be included in the implementation plan to ensure the barriers are successfully eliminated. The last step is to build a comprehensive roadmap. This roadmap contains the IoT projects, barrier analysis projects, and domain transformation projects. The roadmap brings together all initiatives for execution, coordination, and governance. An example roadmap based on the result of a CMM analysis. The key to a successful strategy is the ability to uncover the obstacles to the project’s success. The OACA Cloud Maturity Model provides an excellent toolset to help you in your IoT journey. FoxNet uses the OACA CMM analysis toolset and methodology as a key component when developing a successful IoT Strategy. Bill Dupley is a Digital Strategist at FoxNet. He has led IT transformation and strategic planning teams for over 50 companies and governments worldwide and bring extensive experience in IT & Business Strategic Planning, IT process design, and enterprise architecture. 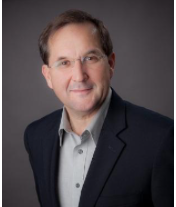 Bill has held several positions over his career including the Cloud Chief Technologist for Hewlett-Packard Enterprise Canada and Director of Strategy and Business Development for HPE Canada Consulting. He is a graduate of Ryerson University, a former member of the HPE IT Global SWAT Team, and a member of the Open Data Center Alliance Cloud Maturity Model authorship team. He is dedicated to helping customers equip themselves rapidly for our ever-changing technological world.